Haq's Musings: Will Iran Scuttle the Obama Agenda? President Barak Hussein Obama has unveiled a very ambitious U.S. domestic agenda to deal with the worst global economic crisis in at least sixty years and to remake America after thirty years of the Reagan revolution, deregulation and less government. The president has already acknowledged "the special interests and lobbyists who are invested in the old way of doing business, and I know they’re gearing up for a fight as we speak". The president has warned them that he, too, is "ready for the fight". In the neocon Weekly Standard, Elliott Abrams of the Bush White House parrots Netanyahu, urging Obama to put any land-for-peace deals with the Palestinians on a back burner. Why? The campaign is under way to conflate Hamas, Hezbollah and Syria as a new axis of evil, a terrorist cartel led by Iranian mullahs hell-bent on building a nuclear bomb and using it on Israel and America. The full-page ads and syndicated columns calling on Obama to eradicate this mortal peril before it destroys us all cannot be far off. First, last week's acknowledgment that Iran has enough enriched uranium for one atomic bomb does not mean Iran is building an atomic bomb. To construct a nuclear device, the ton of low-enriched uranium at Natanz would have to be run through a second cascade of high-speed centrifuges to produce 55 pounds of highly enriched uranium. Dr. Mohamed El-Baradei, head of the Atomic Energy Agency, believes this is a signal that Tehran wishes to negotiate with the United States, but without yielding any of its rights to enrich uranium and operate nuclear power plants. For, unlike Israel, Pakistan and India, none of which signed the Nuclear Non-Proliferation Treaty and all of which ran clandestine programs and built atom bombs, Iran signed the treaty and has abided by its safeguards agreement. What it refuses to accept are the broader demands of the U.N. Security Council because these go beyond the treaty and sanction Iran for doing what it has a legal right to do. 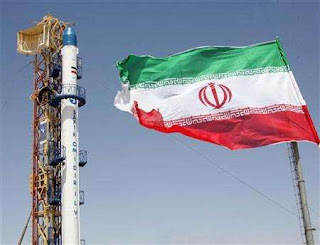 Bottom line: Neither the United States nor the Atomic Energy Agency has conclusive evidence that Iran either has the fissile material for a bomb or an active program to build a bomb. It has never tested a nuclear device and has never demonstrated a capacity to "weaponize" a nuclear device, if it had one. Why, then, the hype, the hysteria, the clamor for "Action This Day!"? It is to divert America from her true national interests and stampede her into embracing the agenda of a renascent War Party. None of this is to suggest the Iranians are saintly souls seeking only peace and progress. Like South Korea, Japan and other nations with nuclear power plants, they may well want the ability to break out of the Nuclear Non-Proliferation Treaty, should it be necessary to deter, defend against or defeat enemies.